The number of vehicles operating out of Saturn's call centre is FIVE TIMES LARGER than our nearest competitor, making Saturn the only company capable of offering to pick-up within 10 minutes, anywhere in Stirling and up to 15 minutes in surrounding areas. The call-centre is manned 24 hours a day, every day of the year. 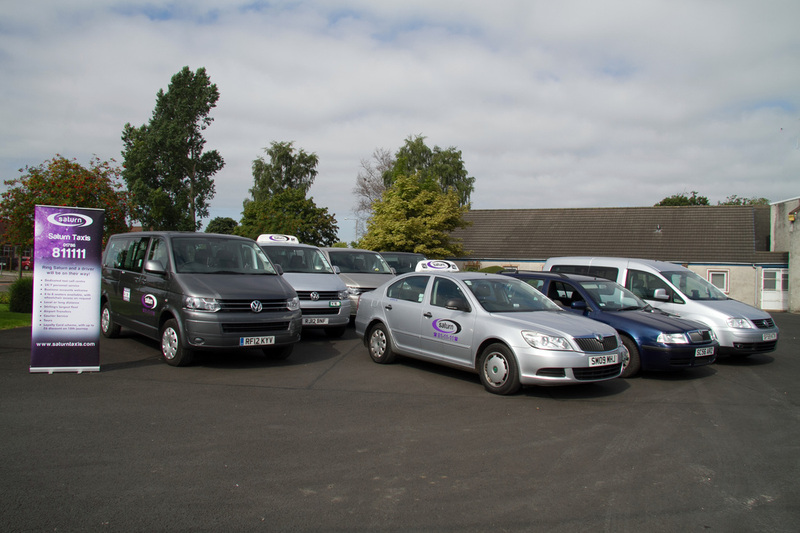 At Saturn we provide vehicles for up to 8 passengers and up to 43 passengers, through our partners. All vehicles come fitted with air conditioning and satellite navigation as standard. A call-back can be requested for when the vehicle is waiting outside to pick up. Ground-breaking technology automatically allocates the closest car to the job, while GPS allows continuous vehicle tracking and ensures that 99% of passengers are picked up on time.